Facing elimination, the Nets are ticked off that they let this playoff opportunity slip through their fingers. Aaron Judge goes to the IL with an oblique injury. Is the Judge injury the most significant one so far? Syndergaard is underperforming for the Mets, can he turn it around? Mike Renner of PFF joins the Gordon Damer Show on 98.7 ESPN to preview what the Jets & Giants will do in the NFL Draft. Featured this week: George Willis explains how Tiger Woods was able to get his career and his life turned back around, while Hockey Hall of Famer Willie O'Ree discusses the documentary WILLIE, which tells the story of his being the NHL's first black player. Dave Gettleman held his pre-draft press conference yesterday. After hearing his comments do you believe that the Giants will use one of their 2 1st round picks on a QB? Larry Hardesty recaps the Nets losing to the Sixers in Game 3 and yet another disappointing night in the Bronx for the Yankees on 98.7 ESPN. Featured this week: Byram Hills Youth Lacrosse "STICKS IT to Childhood Cancer", while the Novo Nordisk New Jersey Marathon and Half Marathon kicks off later this month. Larry talks about a big series sweep for the Yankees over the Red Sox, and discusses the NFL schedule release. Big Sports Weekend...but the biggest story is Tiger Woods winning the Masters. Did you expect that? Dave McMenamin joined the Dave Rothenberg Show on 98.7 ESPN to preview the NBA Playoffs. Gordon Damer details the compilation of injuries for the Yankees and what the panic meter should be on 98.7 ESPN. The Mets keep winning. Confident the Knicks win the lottery? Larry recaps another Mets win, and more bad news on the injury front for the Yankees. The Yankees were swept in Houston but Gordon tells you why Aaron Boone shouldn't get blamed for the team's slow start. With another Luis Severino setback, Gordon tells you if the Yankees should sign Dallas Keuchel. Plus, who's to blame in the latest Lakers debacle? It appears that Chris Mullin and St. Johns are headed for a divorce and Gordon tells you who they absolutely shouldn't hire. Plus, should the Yankees sign Keuchel? The Knicks season is almost over, but the Nets are going to the playoffs. Plus, the Yankees lose a tough one in Houston due to their bullpen! Patriots DB Devin McCourty discusses The Players Coalition lobbying for a more education funding to low-income schools in Massachusetts, and athletic trainer Michael Macatangay helps young athletes strike out a common arm injury. Push the brakes on the Yankees' panic vehicle. The Mets are off to a good start. And Gordon says KD is definitely coming, but who will be his sidekick on 98.7 ESPN. The Knicks lose to Houston and the Rockets empty their bench before the game ends; is this disrespectful? Gordon has revived the Yankees after a big win in Baltimore! Plus, he tells you his opinion on the new Jets uniforms! After a 2-4 start is the Yankees' season over? Gordon tells you to stop overreacting and why there is still some hope for the Bronx Bombers. Plus, can the Mets keep this up? The injuries are pilling up in the Bronx and Gordon tells you who the biggest loss for the Yankees is. Plus, is it time to start believing Lenny Dykstra? Larry Hardesty reacts to the Yankees losing to the Tigers on 98.7 ESPN. Meanwhile, the Mets picked up another win over the Marlins. The feud between Ron Darling and Lenny Dykstra has heated up and Gordon weighs in to tell you who's side he is on. Plus, should Yankees' fans panic after 2 more injuries? Larry says despite injuries to two more key players, there's no need to panic if you're a fan of the Yankees. Alan Hahn, Wally Szczerbiack and Al Trautwig joined Larry Hardesty on ESPN NY Tonight to discuss the Knicks victory over the Bulls. The Final Four is set and Zion Williamson is now free to go to the NBA! Plus, Gordon gives you his takeaways from the opening weekend in the MLB. Gordon Damer discusses what the expectations for both the Yankees and Mets on 98.7 ESPN. Plus, how interested in Josh Rosen are the Giants? Former Texas and Rhode Island assistant coach Leigh Klein joined the Gordon Damer show on 98.7 ESPN to preview the Elite 8. What are the concerns for the Mets and Yankees this season and what will the Jets do with the third pick in the NFL Draft? Larry is joined by Jerald L. Hoover, sportswriter and author, to discuss his book "My Friend My Hero", the first of four books from The Hero Book Series. Opening Day was a success in New York but Gordon cautions you to not overreact! Plus, should the Giants trade a second round pick for Josh Rosen? The Yankees and Mets both pick up wins on Opening Day. Larry Hardesty discusses what it means on 98.7 ESPN. It's Opening Day! Gordon gives you his predictions for the Mets and Yankees for the 2019 MLB Season. The Mets and Jacob deGrom finally agreed on a contract extension, but Gordon tells you why Mets fans should pause the celebration. Plus, Headlines! Larry Hardesty reacts to the Mets extending Jacob deGrom on 98.7 ESPN. Is this a sign of things changing for the Mets? The Mets plans to visit Syracuse before Opening Day became even more of a disaster. Plus, Gordon tells you why you should lay off Noah Syndergaard! Noah Syndergaard called out the Mets for not paying Jacob deGrom. Should they gave deGrom a contract extension now? Also, for the Yankees is it World Series or bust? After a near UCF upset, Gordon tells you why we should all be thankful that Duke was able to pull it out. Plus, is Gronk the best TE in the history of the NFL? Did Tom Izzo go too far? Gordon doesn't think so! Plus, recapping the other March Madness action & a documentary recommendation on 98.7 ESPN. Larry Hardesty discussed the performances of Ja Morant and Zion Williamson in the NCAA Tournament Round of 64, and who the Knicks need most. Alan Hahn and Al Trautwig joined Larry Hardesty on ESPN NY Tonight to discuss the NCAA Tournament and why the Knicks might not want the first overall pick. Murray State's Ja Morant was the star of Day one of March Madness and Gordon tells you whether or not the Knicks should take him over Zion Williamson. Did you know MLB started this week in Japan? And after these two games, MLB will go back to Spring Training. WHY? Will Haskins go to the Giants? St. Johns had an awful showing in their first NCAA tournament game since 2015 and Gordon knows what their problem is. Plus, will Dwayne Haskins be the next QB of the Giants? After Mike Trout's massive record setting contract extension, Gordon wonders if the next extension will go to a NY baseball star. Plus, Headlines! Trout signs a 12-year/$430M extension to remain with the Angels, so how should the Yankees approach Aaron Judge's contract situation? Larry Hardesty discusses on 98.7 ESPN. Dave Gettleman finally spoke about trading Odell Beckham Jr. and Gordon tells you what statement he disagreed with the most! Gordon is excited for the NCAA Tournament, but it's not the basketball he's looking forward to. Plus, the Knicks tank took a big hit over the weekend. Gordon Damer discusses the Giants trading OBJ to the Browns on 98.7 ESPN. Was this the right move? Larry Hardesty speaks with Susan Braun, CEO of the V Foundation. March is a big month for cancer research as we remember the late Jim Valvano and NC State's incredible run to win the 1983 NCAA National Championship. Larry Hardesty reacts to the Giants trading OBJ on 98.7 ESPN. Jordan Raanan joined Larry Hardesty on 98.7 ESPN and discussed the OBJ trade to the Browns. Josina Anderson joined Larry Hardesty on 98.7 ESPN to discuss how the Odell Beckham Jr. trade materialized. The Jets were very active during the fist day of free agent negotiations, but one big prize still remains and Gordon says the Jets should avoid him. As NFL free agency is set to begin, Gordon tells you whether Jets should be trusted to make the right moves. Plus, James Dolan kicked out another fan from MSG! Gordon Damer breaks down what trading Vernon means for the Giants on 98.7 ESPN. Plus, what's going on with Antonio Brown? Larry Hardesty discusses the Olivier Vernon trade and what it means for the Giants going forward. Larry Hardesty spoke with Rich Coutinho about how the Mets are looking in Spring Training, and discussed Tom Seaver's legacy. Who should start at 1B for the Yanks, Luke Voit or Greg Bird? Both come with some concerns. Plus, Larry evaluates the rotation amidst the injuries to Sevy and CC. The Steelers are about to trade Antonio Brown and it's not going to be to the Jets, Gordon tells you why they may have dodged a bullet. The Giants are letting Landon Collins walk and Gordon thinks they are getting increasingly dysfunctional. Plus, what should the Yankees do about Luis Severino. It looks like the Giants will be moving on from Safety Landon Collins and Gordon tells you why this is a mistake. Plus, is LeBron missing the playoffs bad for the NBA? The NFL Scouting Combine is coming to an end and Gordon tells you why it benefited the Jets. Plus, will the Yankees offense actually be better this season? Stanford Steve joined the Anita Marks show on 98.7 ESPN to preview some MLB over-unders. Gordon Damer reacts to Dave Gettleman and Pat Shurmur saying Eli still has time left on 98.7 ESPN. Larry Hardesty asks Giants fans who they would prefer at quarterback: Dwayne Haskins or Kyler Murray? Featured this week: Kevin Livingston, President of 100 Suits, which addresses the needs of the underprivileged in need of business attire in the NYC; Robert Sinclair of AAA Northeast discusses train safety after a tragedy on the LIRR. The Phillies have signed Bryce Harper and Gordon tells you why both Mets and Yankees' fans should be disappointed. Plus, why did Gordon love the return of John Tavares? Knicks blow a late lead and fall to the Cavs. Is there reason to be concerned about Kevin Knox? Are you turned off by Kyrie Irving? Plus, is Murray the answer for the Giants? The Giants confirmed yesterday that both Eli Manning and Odell Beckham Jr. will be coming back next season and Gordon tells you whether or not this is a positive. Don La Greca joins to talk the Rangers loss to Tampa Bay. Plus, the NFL combine is here and the Giants seem to be rolling with Eli, what are your thoughts? Shortly after he was nominated for the NFL's 'Walter Payton Man of the Year' Award, Jets OL Kelvin Beachum joined Larry Hardesty to discuss the nomination. Rick DiPietro, Chris Canty and Dave Rothenberg sit down with Dr. Oz to discuss the effect professional athletes have on public health as well as his Philadelphia fandom. Michael Kay, Don La Greca and Peter Rosenberg debate the upcoming NFL Draft with a little help from an unexpected guest. After a second straight win Gordon is panicking that Knicks' are about to blow the tank! Plus we talk Islanders' hockey! The Knicks beat the Magic 108-103 and have now won 3-of-4, but is this a good thing? Larry Hardesty discusses this on 98.7 ESPN. Robert Kraft was officially charged with two misdemeanor counts of first-degree solicitation and Gordon tells you how he should be disciplined by the NFL. Larry talks about the NY Rangers moves at the trade deadline. Also, can Troy Tulowitzki make an impact for the Yankees? Gordon returns from vacation to weigh in on all the ridiculousness that occurred while he was gone. He weighs in on the Knicks' home win, Zion's shoe, and even Robert Kraft! Anita Marks fills in for Gordon Damer on 98.7 ESPN and discusses what could come next if Robert Kraft is found guilty of the alleged crimes. Larry Hardesty discusses the situation with Robert Kraft, and whether or not Zion Williamson will play another game for Duke. Alan Hahn, Wally Szczerbiack and Al Trautwig discuss the Knicks first game back from the All Star break, and get into a spirited debate about Derrick Rose. Larry Hardesty speaks with former tennis champions Leslie Allen & Kyle Copeland-Muse about the inspiration given to them by the legendary Althea Gibson & Arthur Ashe. Should the Jets pursue Le'Veon Bell or Antonio Brown? Larry Hardesty reacts to the Manny Machado contract and what it means for Bryce Harper. Larry Hardesty reacts to the All Star Game and their festivities. Did you enjoy it? Also, rumor has it that Dolan is looking again to sell the Knicks. Anita Marks fills in for Gordon Damer. She talks about Colin Kaepernick and the NFL's settlement. How do you feel about it? Also, will the Giants trade Odell? Jacob deGrom and the Mets are in talks about a contract extension, but Gordon tells you why the Mets are correct on hesitating to extend him so soon. Larry Hardesty looks ahead to the MLB season on 98.7 ESPN. What are the glaring concerns for both the Yankees and Mets. With Spring Training now underway, Gordon doesn't think the Yankees roster has improved all that much since last season. Gordon has figured out the reason why Manny Machado and Bryce Harper are still on the free agent market. Plus, what will the Mets do with Jacob deGrom? With pitchers and catchers reporting this week both Manny Machado and Bryce Harper are still unsigned! Gordon gives you his theory on why both players are still available. Brendan Brown joined Pat O'Keefe to discuss the NBA landscape, and who put themselves in the best position after the trade deadline. Pat O'Keefe discussed Dennis Smith Jr.'s impressive performance for the Knicks Friday night, and how Kevin Durant could become Mark Messier in New York. Larry Hardesty is joined by Claude Johnson, Founder and Executive Director of the Black Fives Foundation. Dave McMenamin joined the Dave Rothenberg show to discuss the state of the Lakers following all the noise surrounding the NBA Trade Deadline on 98.7 ESPN. Gordon outlines how the writing is on the wall for Durant to join the Knicks and how his inability to get along w/ the media won't be a factor on 98.7 ESPN. The Knicks & Rangers both lose tonight. But we celebrate a championship for the Rangers and the Knicks might have a PG. The NBA Trade Deadline has passed and Anthony Davis remains in New Orleans, Gordon tells you if the Knicks should trade the first overall pick for him this upcoming offseason. Can Kevin Durant handle the NYC media? Do the Knicks need KD more than he needs them? Larry Hardesty weighs in on 98.7 ESPN. Kevin Durant finally spoke to the media about potentially signing with the Knicks, Gordon tells you why he may not be the best fit in New York. Larry Hardesty recaps an impressive Rangers comeback victory, and discusses potential MLB rule changes. After trading Kristaps Porzingis Gordon tells you exactly what must happen this summer in order for the deal to be worth it. Plus, was the Super Bowl boring? Larry Hardesty reacts to people saying that the Super Bowl was boring. Also,Larry wants to know outside of the Yankees, who can bring a championship back home to NY? The Patriots are champions again and Gordon tells you what the worst part of it was. Plus, Gordon has a way to fix the Super Bowl Halftime Show. It's Super Bowl Sunday and the Patriots will face the Rams? Can Tom Brady get his 6th ring? Will Todd Gurley show up? Jordan Raanan discussed the Kristaps Porzingis trade and what the Knicks should do in free agency this offseason. Jordan Raanan spoke with Rich Cimini about former Jets center Kevin Mawae being inducted into the Pro Football Hall of Fame. Jordan Raanan spoke with MMQB's Albert Breer about the Super Bowl and what each team needs to do to win. Jordan Raanan spoke with Newsday's Steve Popper about the Kristaps Porzingis trade and what to expect from the Knicks this offseason. Gordon Damer discusses what has to happen in order for you to deem this KP trade a success. Plus, there's a player linked to the Knicks Gordon wants no part of on 98.7 ESPN. Larry Hardesty discusses the Knicks loss Friday night with a depleted roster. The Knicks have traded Kristaps Porzingis and Gordon tells you why he hates the deal! Ian Begley joined ESPN NY Tonight to discuss the trade that sent Kristaps Porzingis to the Mavs on 98.7 ESPN. Should Jamal Adams be the Jets player that is out recruiting free agents? Plus, Gordon tells you why nothing Roger Goodell says matters. Knicks lose to the Dallas Mavericks and the way the Knicks looked tonight seems they may have checked out completely. Is this the beginning of the end for the Knicks? Gordon tells you what he hates the most about the Patriots. Plus, we celebrate the Knicks now having the worst record in the NBA. How much would you be willing to give up for Anthony Davis in a trade with the Pelicans: KP, the No. 1 overall pick or neither? Plus, the Rangers lose again on 98.7 ESPN. Gordon tells you why a Knicks' trade for Anthony Davis is a long shot. Alan Hahn & Wally Szczerbiak join Larry Hardesty on their ride home to discuss Anthony Davis wanting to be traded. Should the Knicks pursue him? Carmelo Anthony received a nice applause from Knicks fans as he watched his pal Dwyane Wade take on the Knicks at MSG. Gordon tells you if he should have his number retired. Gordon Damer reacts to the Knicks losing again to the Nets last night on 98.7 ESPN. Both teams continue to position themselves well for the future. Larry Hardesty recaps another tough loss for the Knicks. Plus, Rich Coutinho joins the show to talk Mets. As the Knicks tank continues, Gordon tells you who the Knicks need more, Zion Williamson or Kevin Durant. Plus, are the Jets ready to take over the AFC East when Brady retires? Larry Hardesty reacts to James Harden dropping 61 points at MSG and questions whether Alex Rodriguez will ever get into the HOF on 98.7 ESPN. After James Harden scored 61 points vs the Knicks at MSG, Gordon tells you why he wasn't all that impressed. Plus, will Bonds or Clemens ever make it into the MLB HOF. Knicks lose a close one to the Rockets as James Harden goes for 61 points. Larry takes your thoughts/reactions to the loss and opinions on James Harden. Now that Mariano Rivera is the first ever unanimous player to be inducted into the baseball HOF, Gordon tells you why there should be another first next year. Mariano Rivera becomes the first ever MLB player to get voted into the HOF unanimously. Who's next? Larry Hardesty examines on 98.7 ESPN. Mariano Rivera getting into the HOF unanimously was a huge win for baseball. Michael Kay stopped by to reflect on Mo's phenomenal career. Plus, Alan fixes overtime in the NFL. 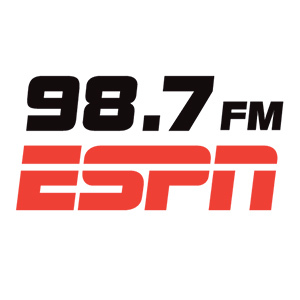 Anita Marks previews Championship Sunday on 98.7 ESPN. Is Tom Brady the greatest football player ever? Matt Derrick of Chiefs Digest joined the Anita Marks show on 98.7 ESPN to preview the AFC title game. Rich Cimini joined the Anita Marks show on 98.7 ESPN to look at what lies ahead for Adam Gase, as he becomes the HC of a franchise starving for greener pastures. Dave Rothenberg looks ahead to Championship Sunday. Plus, RJ Bell of Pregame.com joins to provide gambling tips. Gordon Damer previews the NFL Playoffs. Plus, the Nets and Knicks battle for NYC...at least Nets fans think it's a battle and Gase is correct about social media. Larry Hardesty says the Mets have made some good moves, but need to make more before the season starts. Plus, a preview of NFL championship games this weekend. Larry Hardesty goes into the film room with Chris Canty on ESPN NY Tonight to discuss NFL Championship Weekend. NFL Championship Weekend has arrived and Gordon tells you who is going to the Super Bowl. Plus, a look at Mel Kiper Jr's first Mock Draft! Larry Hardesty reacts to the Knicks blowing a 19-point lead in London to fall to the Wizards on 98.7 ESPN. Plus, the Yankees add another reliever. After hearing the White Sox offer to Manny Machado, Gordon tells you why he may be changing his mind about the Yankees signing the All Star SS. With the Nets currently slated as the 7th seed in the NBA's Eastern Conference, Gordon tells you if Brooklyn is New York's biggest free agent destination. The Jets reportedly have their defensive coordinator. Is he the missing piece for this defense? Plus, is James Harden among the all time great scorers ever? Gordon says Adam Gase made an impression in his introductory press conference, but was it a good one? Plus, how did the Jets owner impress Gordon? Rich Cimini joins Larry Hardesty to talk about Adam's Gase presser. How awkward was it? Plus,how was he in a small group? As the Jets get set to introduce Adam Gase as their new head coach, Gordon tells you the one question that must be answered. Plus, a full Divisional Round recap. Gordon Damer discusses the Jets hiring Adam Gase on 98.7 ESPN. It doesn't make sense why fans are so down on him. Larry Hardesty recaps the Knicks loss to the Pacers, and discusses the Yankees and Mets most recent acquisitions. Gordon tells you why the Jets hiring of Adam Gase may just be the best head coaching hire this offseason. Plus, are the Mets having a better offseason than the Yankees? Gordon breaks down the hiring of new Jets' Head Coach Adam Gase. Plus, Gordon tells you why Jets' fans should calm down. Larry Hardesty gave his thoughts on the Jets hiring Adam Gase as head coach. Plus, we go Back to School with Treavor Scales. ESPN Dolphins reporter Cameron Wolfe joined Larry Hardesty on ESPN NY Tonight to discuss Adam Gase and what the Jets can expect from him. Gordon tells you if last night was the final time the Knicks will ever play against Kevin Durant. Plus, did the Jets dodge a bullet in their head coaching search? Gordon has a shocking takeaway from last night's National Championship game. Plus, he tells you who he thinks will be hired to be the next Head Coach of the Jets. We got some interesting results from Wild Card Weekend and Gordon tells you which winning team has the best chance to advance next weekend. Plus a favorite for the Jets HC job! Gordon Damer analyzes the Jets head coaching candidates and looks ahead to the NFL Playoffs on 98.7 ESPN. Former NFL DL Brandon Noble, a MRSA survivor, talks about his personal experiences and ways athletes can protect against infection. Is the Rooney Rule dead? Carron J. Phillips and Larry Hardesty discuss the lack of diversity in NFL front offices and on coaching staffs. Gordon tells you which Wild Card Weekend game has the potential to have a Super Bowl team playing in it. Plus, which head coaching candidate should the Jets stay away from? Larry Hardesty breaks down what's next for the Giants and Jets if they want to get back to the postseason on 98.7 ESPN. After listening to Dave Gettleman speak yesterday, Gordon tells you why he still thinks Eli Manning will be back next year with the Giants. Plus should the Jets hire Adam Gase? Yankees sign Troy Tulowitzki, Larry gets your thoughts on this signing. Plus, Jets are in search of the next head coach, who do you think it will be? After a trade demand the rumors are swirling around Steelers WR Antonio Brown and Gordon tells you why the Jets should stay away. Plus the latest on the Jets HC search. Larry Hardesty discusses the future of Eli Manning and Todd Bowles. There is a long way to go in the NBA season and the Knicks are having the worst season yet. Should they continue to tank? Plus, who will go to the Super Bowl? Larry Hardesty discussed a tough loss for the Knicks, and whether or not the team is headed in the right direction. Gordon gives you his takes on the Yankees meeting with Manny Machado! Plus was last night at Madison Square Garden a preview of what's to come? Larry weighs in on his thoughts and feelings on mental health based on recent news with Josh Gordon. Plus, Larry talks Jets and the choices of the new head coach. Larry Hardesty is frustrated with the Knicks defense, and he's not sure where the team is headed. Alan Hahn joined Larry Hardesty on his ride home to discuss another frustrating defensive effort from the Knicks.